I was happy to see how many people liked my review of Black Gold, and had fond memories of reading Marguerite Henry books. 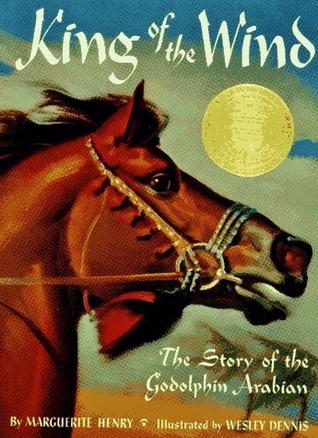 I’ve been looking over my collection of horse books for the last few days, thinking how many other great books she wrote. 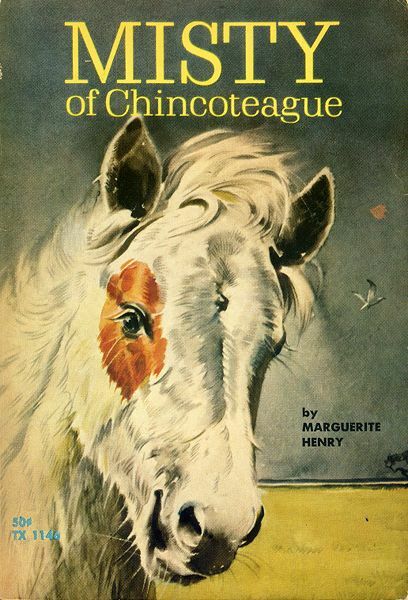 I thought it might be fun to host a blog hop readalong of Marguerite Henry books. She wrote, apparently, 16 of them, which actually seems like a small number now that I see it in print! I have one question – well two questions. First, would anyone actually participate? Second, should I do it so that you pick whatever Marguerite Henry book you want and then say 2 weeks later post a review? Or should we all vote on a particular book to read, and do that 3 or 4 times? So, a poll. Comment and let me know if you’d be interested in doing these, and vote in the poll to tell me how you think we should run it. i'd get on board with king of the wind! I'd participate. I have a collection of original edition MH books and they are still some of my favorites. I'd be into it, I'll just have to buy/check out the books! I love MH – I have a letter from her after writing her as a child…any book is good for me!